Am I going to trade in my Icom 7610 and Icom 7300 for either of the new HF transceivers? No, not anytime soon. I was able to go to the Hamvention in Xenia this year where Yaesu and Kenwood announced new HF transceivers. 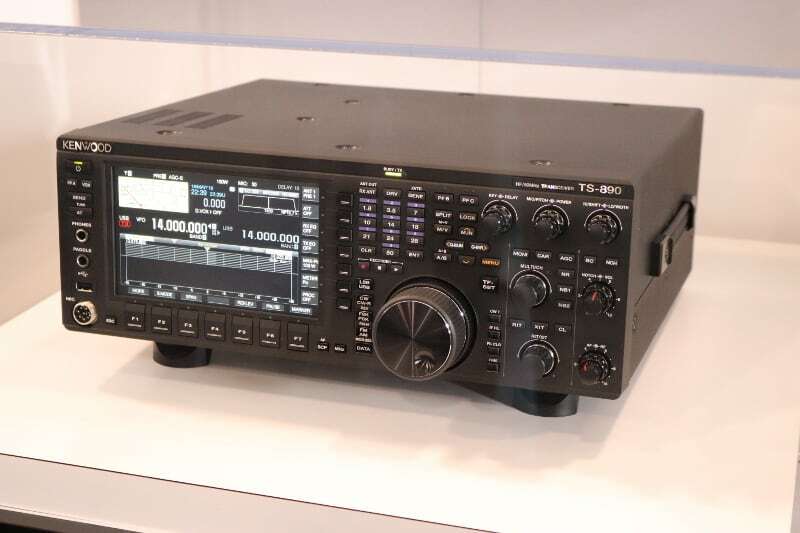 Yaesu proudly displayed the new FTDx 101D and Kenwood, the new TS-890s. 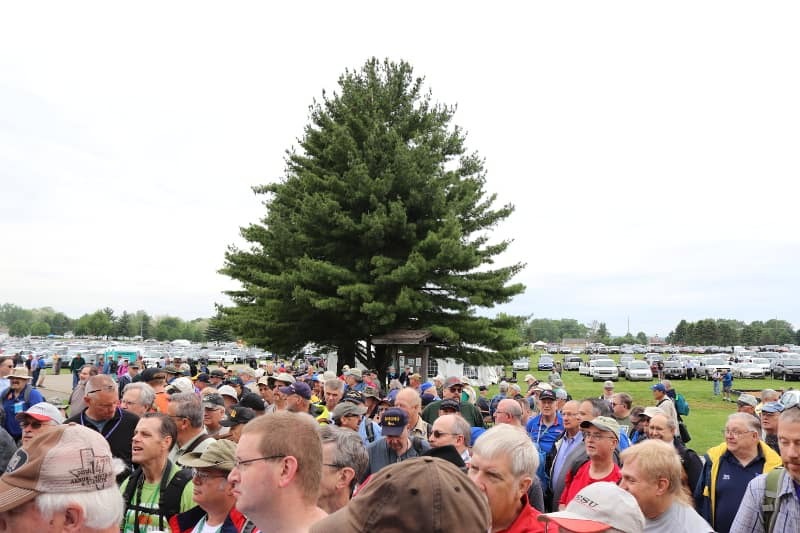 The 2018 Hamvention was better organized this year and traffic seemed to flow smoother. Even though it rained on and off, the rain showers were not hard and the flea market area was much better then last year. The walkways inside the track were lined with asphalt grindings which made it better when it rained. There were more golf carts to shuttle people back and forth to the main parking lot and the shuttle buses going from remote parking to the fairgrounds improved. There was a minor glitch again this year with rain. The tractors hauling people from the bus stop got bogged down in mud. They promptly moved the bus stop location to a another spot and things were rolling smoothly once again. Lots of Hams commented they were very pleased with the improvements. With the addition of a new building for next year; the Hamvention site at the Greene County Fairgrounds will be even better. The release date and price on this radio is unknown. We couldn’t find out much about this one. Here’s what I do know and see the video below for a closeup. The FTDX-101D rear connections are: Ant 1 and Ant 2, Ant 3/Rx, CAT, USB, Meter jack, Ext speaker: A and B, AF-out, REM, Rtty / Data, Linear, Key, Ext ALC, RX out A / Rx out B and GND. The release date will be late summer and the price is unknown. We couldn’t find out much about this one either. Toshio Torii, Kenwood’s chief engineer for development of TS480,TS2000,TS590,TS890,TS990. Thank you Mr. Torii for your time and presence at the 2018 Hamvention. I have more photos and videos of the Hamvention coming soon. If you haven’t already, please subscribe to my YouTube channel. Videos will appear there before appearing on this website. I am also on Instagram and you can follow me there. I posted video clips and photos of the Hamvention trip. I’ll continue to update it when I travel. As always, thank you for stopping by and if you have any questions, please comment below. I’ll do my best to answer them in a timely manner. Huh… I was expecting an announcement for an upgraded version of the TS-2000(X), like what they did the the TH-F6A HT with the new TH-D74. With the TS-2000 being sooooooooo popular, (Look at the eham TS-2000 reviews, the largest there at well over 500. Not to mention the many at the TS-2000 Yahoo Group. ), looks like Kenwood wants to keep that TS-2000, B-2000 TS-2000X, gravy train running for a bit longer. Me? If they ever do upgrade a new version of the TS-2000, will they include 222MHz, 902MHz, and 1296MHz, standard? (Ha-ha… Well, I can dream, can’t I?) I do have to say, that new Icom IC-9700 VHF / UHF rig looks sweet, but again, no 222MHz. Of course…. Common! They give the Euros 70MHz, so how much harder is it to throw in 222MHz? They almost did it with the TH-F6A HT. It RX’s 222MHz all-mode, but just TX’s FM. 73!!!!! “Serious’ contesters don’t need an LED to tell us what band we’re operating. We control the frequency with N1MM+ and don’t need to look at the radio. We make band changes by typing the desired frequency and mode in the Entry Window. N1MM is my favorite and I’ve learned to do just that. Use the entry window. Nice to hear from you and yes I do have the LG 32MA70HY-P 32-Inch monitor. It works great with my HP desktop 8300 Elite SFF. I am using the diaplay port on it. No issues at all. Thanks for commenting. 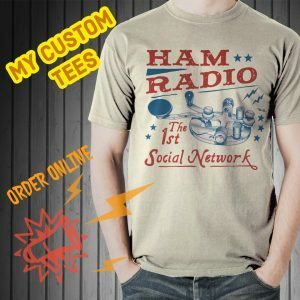 It was a fun time at the Hamvention. I was a little surprised that Kenwood especially, but Yaesu did not show or mention anything about external monitor(s). The DVD-D connector (how old school) is there on both. My guess is that they haven’t developed the video card hardware (maybe they both ought to give Icom a call 🤓) and/or the drivers. One can assume that DVI (why use the odd -D connector?) and HDMI requires a license fee which they should pay and add to the price. Nice to hear from you and I too was surprised by the DVI on the rear. The Icom 7610 has DVI also. I think (have been told) it is the licensing that is the deterrent of the HDMI. DVI would be FB in my opinion if they would use a resolution of 1920 x 1200.